I am a graduate of American Institute of Massage, Inc., Richmond, Virginia with extensive training in Anatomy, Physiology, Kinesiology, Pathology and Massage Theory and Practice. I am certified by the Virginia Board of Nursing and nationally certified by the Board for Therapeutic Massage & Bodywork. Professional memberships consist of the American Massage Therapy Association, The International Association of Eating Disorders Professionals, The National Eating Disorders Association and the Eating Disorder Coalition. In the summer of 2008, I received the shock no mother should ever endure. While standing in the kitchen and questioning my teenage daughter on her eating habits, she turned to me and said, "Mom, you are a hypocrite, you need to get yourself straight before you hound on me." This was a total surprise to me for I did not think I had a problem. Well, through a lot of support from my family, friends and a team comprised of doctors, therapists, and a dietician, I am proud to say I have recovered from a thirty year battle with an eating disorder and severe body image issues. I owe so much to my daughter, Lindsay, for drawing my attention to my disorder. This was not an easy journey by any means but a very enlightening and rewarding one. In January of 2009, with the economy sliding, I was laid off. This was one of the most trying times in my life. Losing my job was the straw that broke the camel's back. However, once I turned my outlook around, this horrific reality became the very best thing that has happened to me. I took advantage of my time off and went back to school to become a massage therapist, a desire of mine for years. Now, having a career in bodywork affords me the opportunity to help people in the healing process, both physically and mentally. For me, helping people help themselves heal is extremely rewarding. In addition to the treatment for my eating disorders, massage schooling with its strict anatomy requirements has provided me with a new and profound fondness for the wonderful body we each have. This was not always true. For a long time, through the overpowering influences of my eating disorders, I disassociated my head from my body and treated the two as totally separate and distinct parts. I now have come to love not only my body but myself. During my training, I conducted a case study on how massage assists women suffering from eating disorders and body image issues. Helping a person become reacquainted with their amazing body is a dream come true. My assistance is not limited to eating issues. I have had people tell me they have ugly feet or they need to get in shape before they get a massage. It is my goal to help everyone feel comfortable with the body they were given and to allow me to help facilitate them taking wonderful care of their own temple. I put my personal guarantee on the fact that you will never be judged and I will give you the needed support to nurture yourself. Please remember, I have walked in those shoes and want to help you feel the amazing bliss of listening and trusting the wisdom of your own body. Philosophy: There is no denying the power of bodywork. Regardless of the adjectives we assign to it (pampering, rejuvenation, therapeutic) or the reasons we seek it out (a luxurious treat, stress relief, pain management), massage therapy can be a powerful ally in your healthcare regimen. Experts estimate that upwards of ninety percent of disease is stress related. And perhaps nothing ages us faster, internally and externally, than high stress. While eliminating anxiety and pressure altogether in this fast-paced world may be idealistic, massage can, without a doubt, help manage stress. Furtrhermore, clients often report a sense of perspective and clarity after receiving a massage. The emotional balance bodywork provides can often be just as vital and valuable as the more tangible physical benefits. 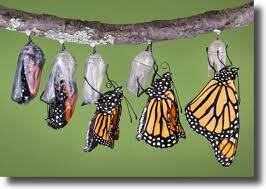 Specializations: Working with women who experience low self-esteem, body image or eating disorder issues. With a "Come as you are" philosophy - you will never be judged and will receive the support you need to be nurtured. Remember, I have also walked in those shoes. Interview about being your authentic self. 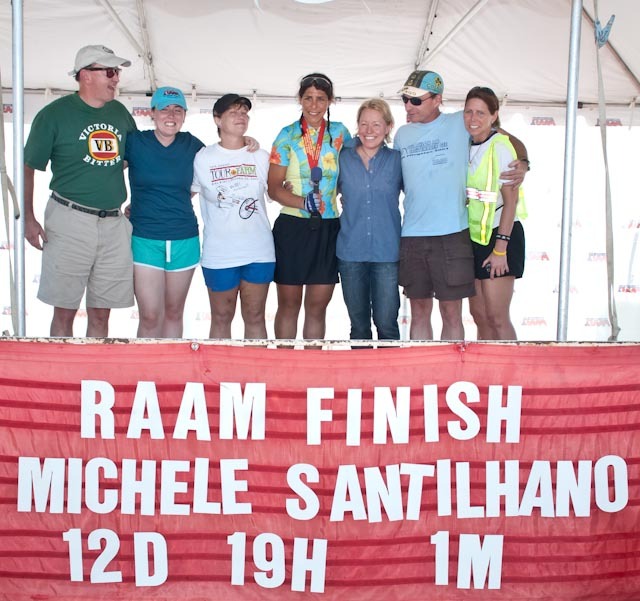 From June 4 - 22, 2010 I had the pleasure to crew for soloist Michele Santilhano in the transcontinental, Race Across America. Also known as the "World's Toughest Bicycle Race." Lance will not even touch it. We began in Oceanside, CA & went cross country to finish in Annapolis, MD. This is a 1-stage race, so the 6 crew members (Alex, Chris, Champe, Sara, Pia and me) worked 24/7 to get Michele across the finish line in 12 days, 19 hours and 1 minute! Also, from July 16 thru 28, 2010 I had the pleasure to crew for another elite athlete. Bill Bradley, whose motto is “show up and suffer,” undertook the toughest running challenge of his life and one few extreme athletes have ever attempted. 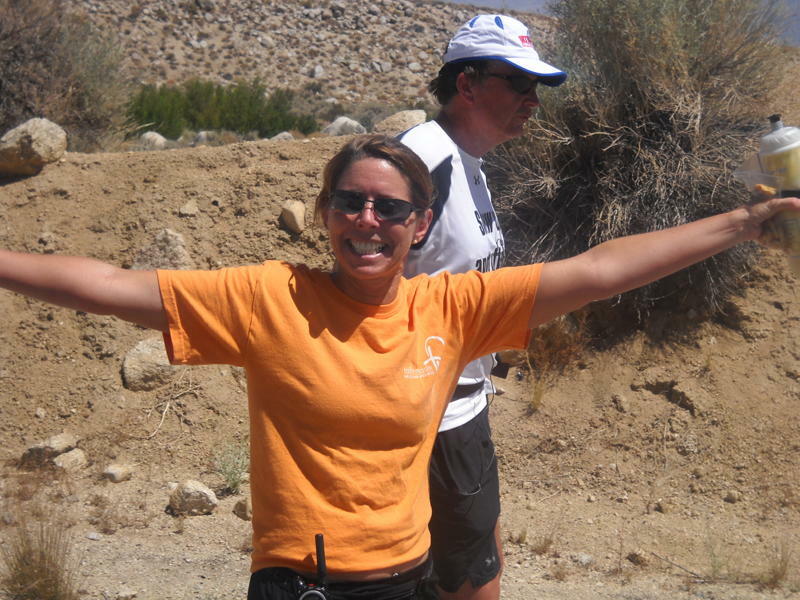 He ran a Double Badwater Ultramarathon, covering 292 miles from Death Valley to Mt. Whitney and back in temperatures up to 130 degrees. Out for a run in 120 F and loving life! Double and Triple Iron distance triathlon held yearly at Lake Anna State Park in Virginia, USA. Ultra-endurance triathletes from around the world test the limits of human endurance. A triple requires a 7.2 mile swim, 336 mile bike then a 78.6 mile run. All this in one weekend. OUCH !